AMD is best known for its line of processors and graphics cards but it does occasionally break character to dabble in other markets. Such was the case in 2014 when it partnered with OCZ Storage Solutions to create a Radeon-branded line of solid state drives. It’s come to our attention that AMD has quietly released a follow-up to its original Radeon R7 SSD line. 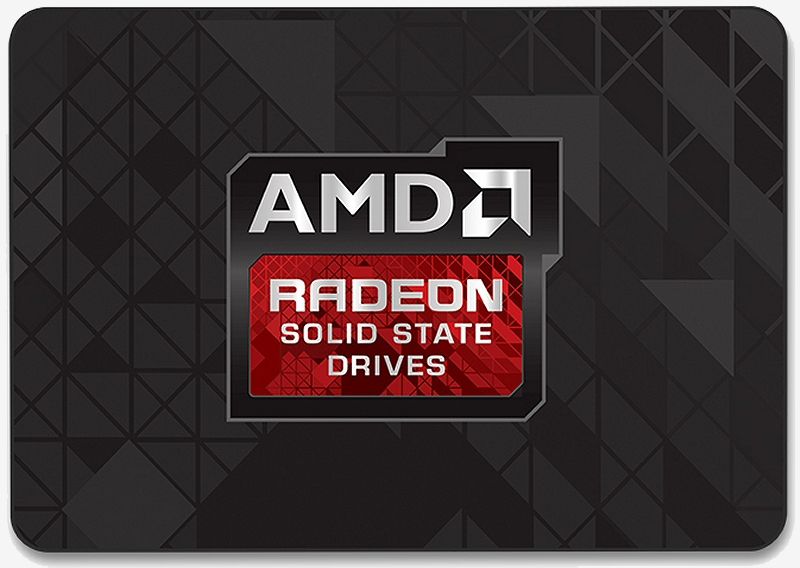 The new Radeon R3 solid state drives are offered in capacities of 120GB, 240GB, 480GB and 960GB with varying degrees of performance. The 120GB model, for example, features a max read speed of 520MB/sec and a max write speed of 360MB/sec. The mid-range 240GB version is rated at max read and write speeds of 520MB/sec and 470MB/sec, respectively, while the largest 960GB model tops out at 510MB/sec on the read side and 450MB/sec for writes. Drive speed typically increases with capacity but that’s not the case here. All drives utilize Silicon Motion SM2256KX controllers and TLC NAND and are of the 2.5mm / 7mm thin form factor with a SATAIII interface. The product page says they’re manufactured and warranted by a company called Galt Inc.
AMD is clearly targeting the entry-level market here. The 120GB drive is going for $40.99 on Amazon while the 240GB unit commands $69.99. You’ll need to part with $136.99 for the 480GB model. No word yet on how much the large-capacity 960GB SSD will sell for. It’s worth pointing out that the 120GB drive is available as of writing; the 240GB and 480GB R3 drives are still a few months out while the 960GB is MIA.